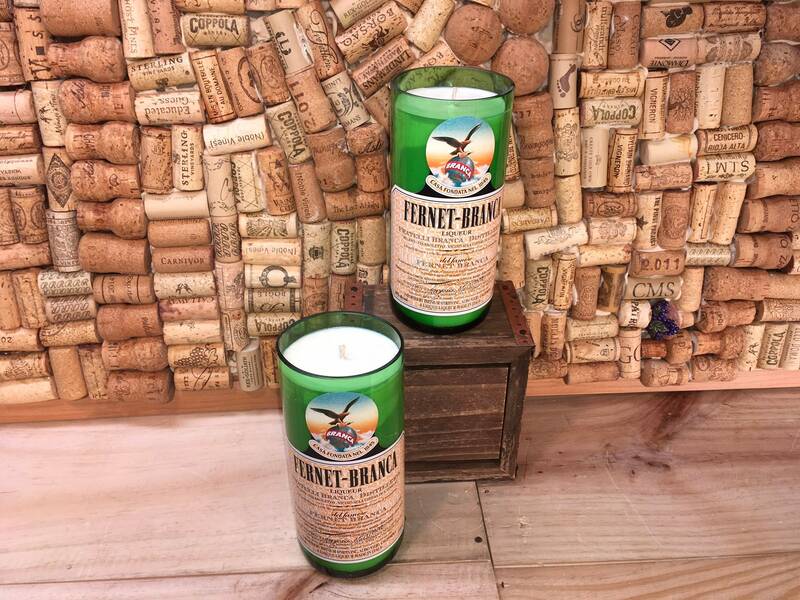 Fernet-Branca Bottle, choose your scent, FREE SHIPPING! Ships free! 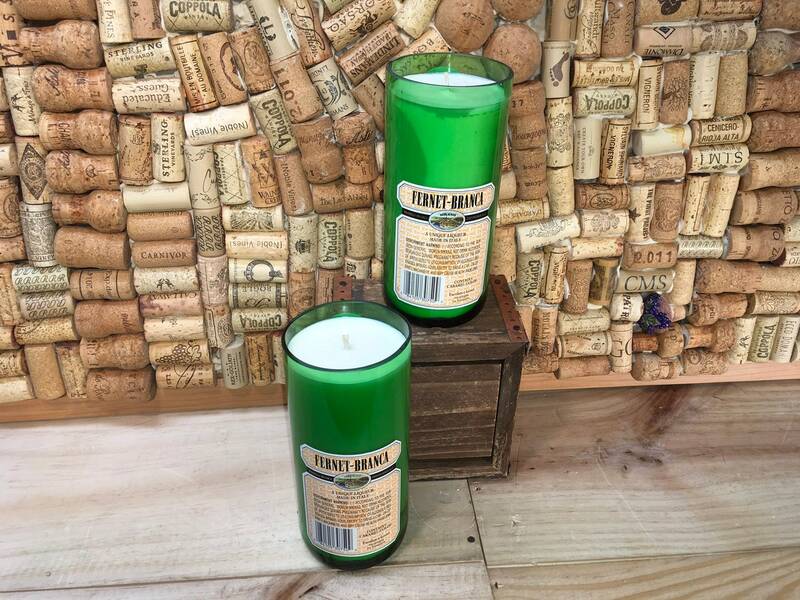 This is a Fernet-Branca bottle with a soy candle inside. It has been professionally cut and polished so that it is smooth to the touch. There is only one available at this time. It is filled with our grapefruit scent. Grapefruit is just that, juicy ruby red grapefruit. Fresh and invigorating! The wax we use is 100% natural, made in the US and non GMO. The cotton wick is natural and self trimming. Our fragrances are phthalate free. We ship on Mondays and Tuesdays. If you would like to pay for expedited shipping please message me for availability.